Below are the products which we stock from Asix. 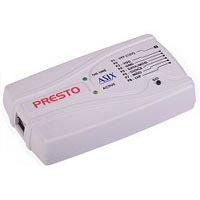 HPR3V3 is an optional accessory to the PRESTO programmer for programming of stand-alone 3.3 V devices (as for example DataFlash Memories). 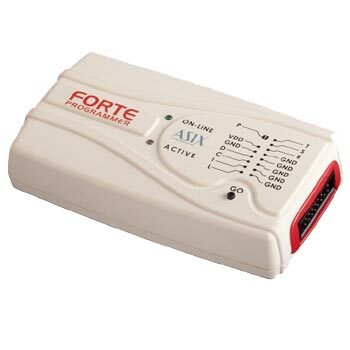 Adapter to convert standard output format of Asix PRESTO and FORTE Programmers to AVR ISP format. A set of 10 miniature test hooks (2,54 mm = 0,1" width). Their colors correspond to the colors of the target application cable (brown, red, orange, yellow, green, blue, violet, gray, white and black). 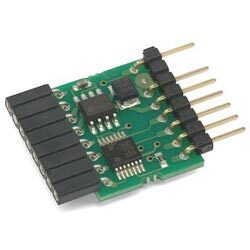 7-way flying lead PIC ICSP adapter for PRESTO PIC Progranmmer. 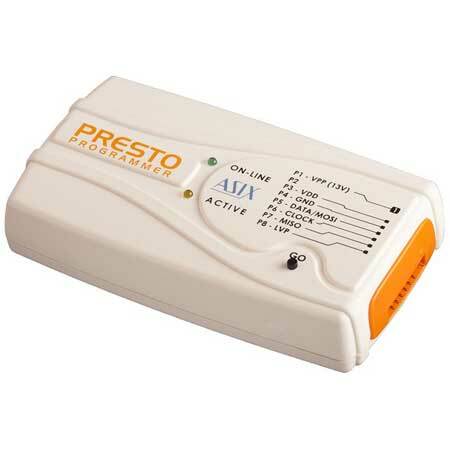 This adapter is always supplied with PRESTO PIC programmer, so this is a spare.